This chair is made from solid walnut with a slim leather cushion base. The back is curved using laminated walnut. 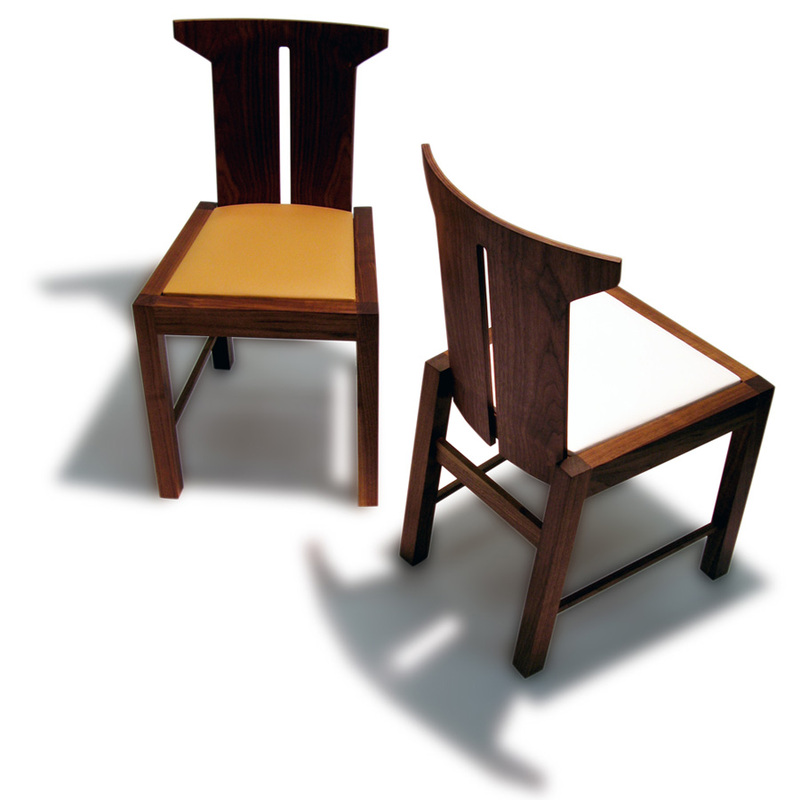 The back (being the main feature of the chair) has a pair of horns that hug the top of the dining table. Like the seat? Wrong style? Wrong finish? Wrong material? Drop us a mail and we’ll sort it out.